Set up a DIY Glassware Studio for under $20! 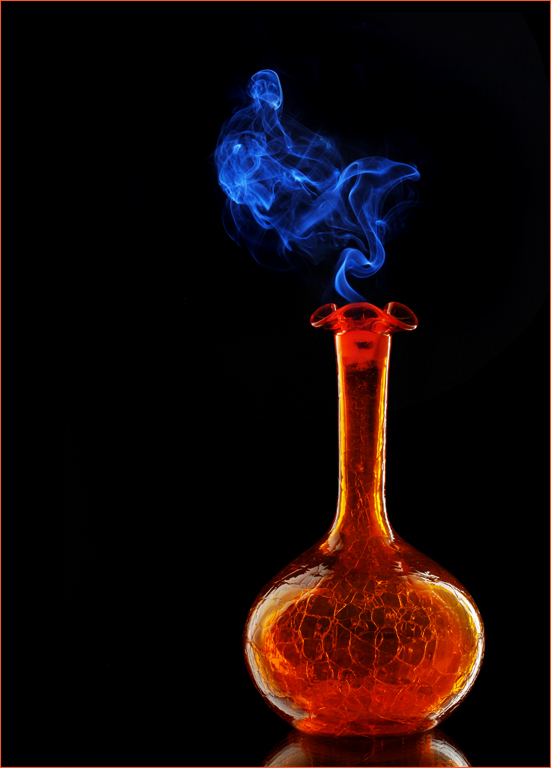 This photo “Genie Bottle” was shot using the glassware photography methods and DIY studio set up detailed in this article. Composite created with incense smoke photo shot separately.